Although R. ponticum is considered by many people to be an invasive weed, there is no doubt that large stands in flower in May are strikingly beautiful. Dr Ian Rotheram at the Rhododendron 2002 Congress at the Royal Botanic Garden, Edinburgh described R. ponticum as being an excellent roosting and breeding shrub for various birds including finches and chiffchaffs as well as being host to 31 insects which are attracted to rhododendrons (compared to holly which has 10). These insects provide important food for predatory invertebrates and insectivorous birds. Coinciding with the critical period for birds feeding young, this can be a locally important food source. Some bird species still utilise dense R. ponticum. Warblers, such as blackcap & chiffchaff, and members of the thrush family (robin, blackbird & nightingale) feed in rhododendron thickets. The northrn expansion of chiffchaff has been attributed to R. ponticum. It also provides cover for mammals as well as birds and despite many conservationists wishing otherwise, the quality of cover and the shelter is far superior to native shrubs and trees. Shelter from wind chill and good roosting sites secure from predators are major bonuses to small birds in the depths of winter. 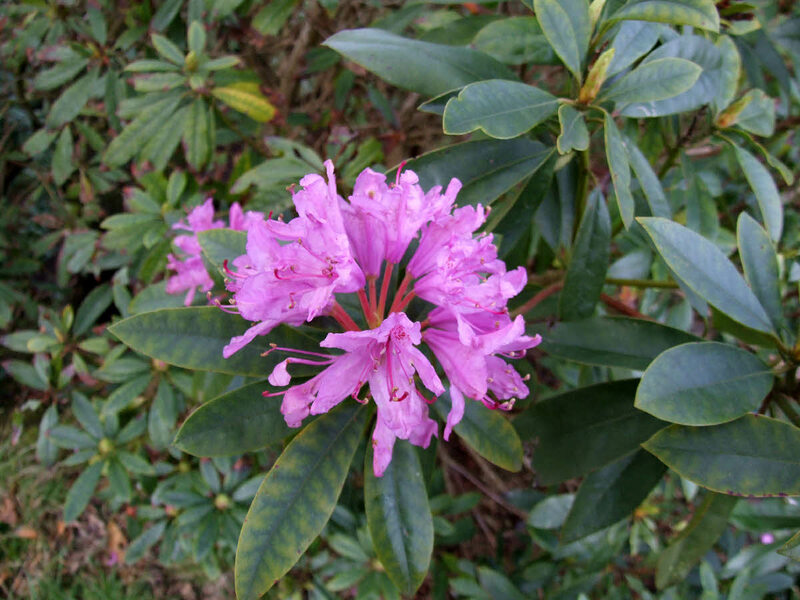 Tony Ormond, in his report on the birds of Bidston Hill for the Five year Management Plan (2003-2008) prepared by Dr Hilary Ash, also notes that mature stands of rhododendrons are safe havens for migrating birds whether they are diurnal or nocturnal. Most of the birds that roost in large numbers can generally be found in the rhododendrons in Park Wood. R. ponticum was in Britain before the last ice age, when it died out. If it had survived, it would now be considered a native! The invasive nature of the species means that control is necessary and Dr Ian Rotheram suggests that long-term and targeted management but not necessarily eradication is a realistic approach. 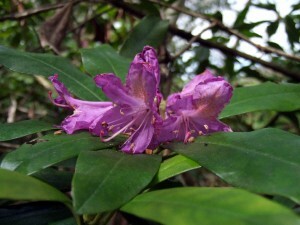 He mentions that the public are often neglected in the debate on exotic species and that many British landscape gardens of the 1700s and 1800s have used rhododendron cultivars and species as part of the historic landscape as well as the trees and buildings. Here, eradication for nature conservation is often a misconception as these landscapes often contain exotic trees and shrubs from all over the world. Management and control of R. ponticum should be undertaken where appropriate, the misapplication of eradication under a guise for conservation should be moderated, and resources concentrated where most vitally needed. This approach to R. ponticum (a species becoming endangered in its native Turkey through overzealous conservationist control) should also be fully embedded in an increased awareness of the importance of the wider Rhododendron genus and the broader conservation issues that this raises.